This challenge was suggested by my lovely Dad. 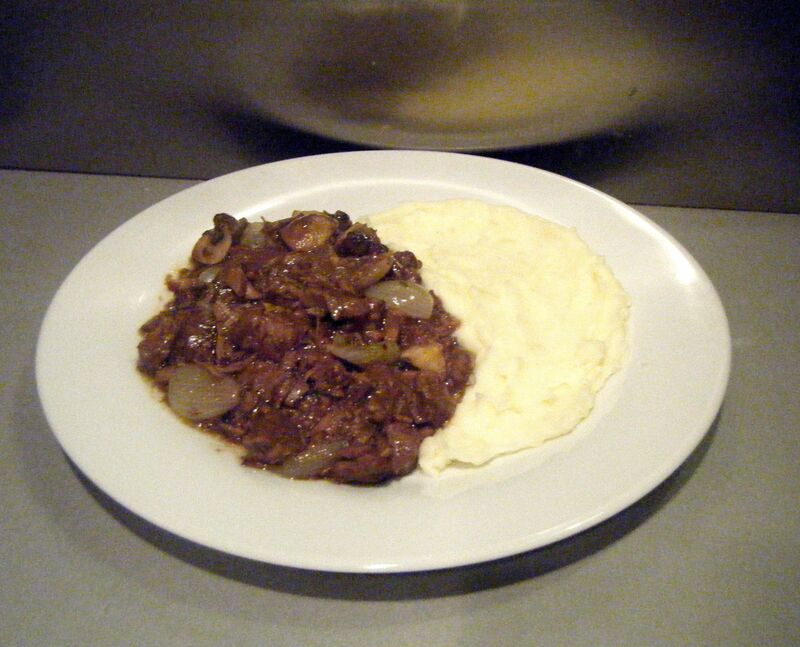 Beef bourguignon is one of the classics from Julia Child’s Mastering the Art of French Cooking. With the film Julie and Julia being the inspiration behind my blog, I thought this was a perfect suggestion. When I searched for a recipe, I did come across Julia Child’s version, however, I ended up using this recipe by James Martin. Before I get into this challenge, I thought I would explain why I’m a little late with this post. Sadly Dave’s grandad passed away last Saturday, the 19 September 2015. At the age of 83, Eric had a long life full of some wonderful adventures. He was a big part of Dave’s life and Eric, along with Dave’s grandma helped shape him into the wonderful, caring man he is today. I unfortunately didn’t get to meet Dorothy who passed away 10 years ago, but I have had the pleasure of knowing Eric for the last 7 years. He was a wonderful artist who was passionate about history and politics. Eric’s health had deteriorated over the last 12 months and he passed away peacefully in his own home. He will be sorely missed by those who knew him but I know he will always be a part of my life through Dave. Rest in peace Eric. It has been a tough period since Eric passed away and I’ve struggled to get going with this post. I actually made the challenge a couple of weeks ago but just couldn’t find the words for my write up. I’m therefore going to apologise in advance if this post isn’t very good. Hopefully you will still enjoy reading about this challenge and can maybe take something away to try for yourself. When I went to get my ingredients, I had a little trouble getting ‘blade of beef’. 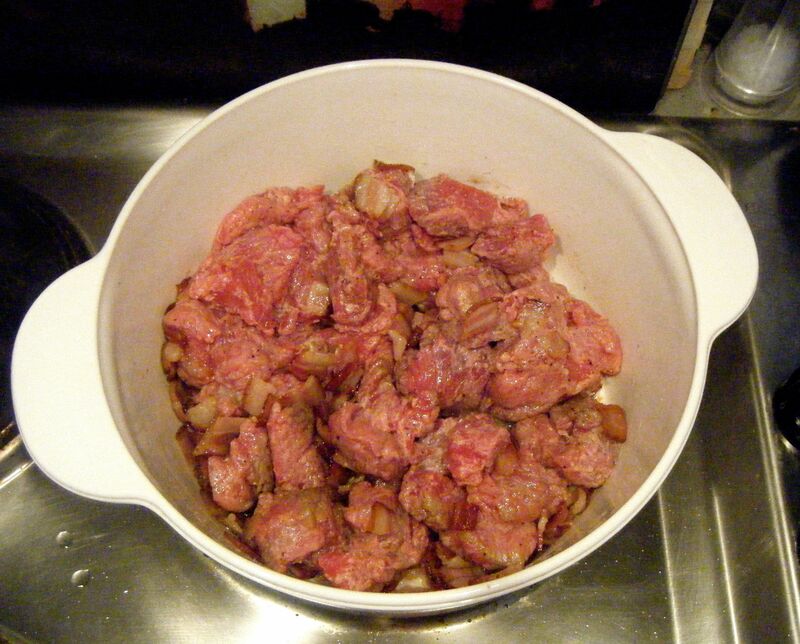 I ended up just getting some stewing beef and it seemed to work. With everything ready, I started off by putting the flour in a bowl and seasoning it. 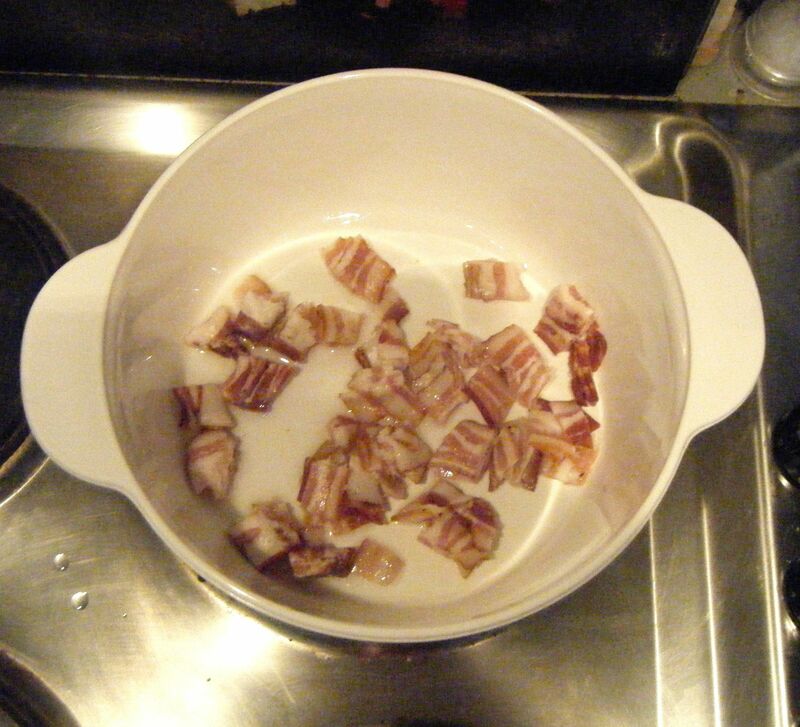 I then tossed the beef chunks in the seasoned flour and put it to one side whilst I fried the pancetta until golden-brown. I added the beef and fried it off until browned on all sides. Whilst the beef was browning, I sliced up the shallots and got the garlic ready to crush. 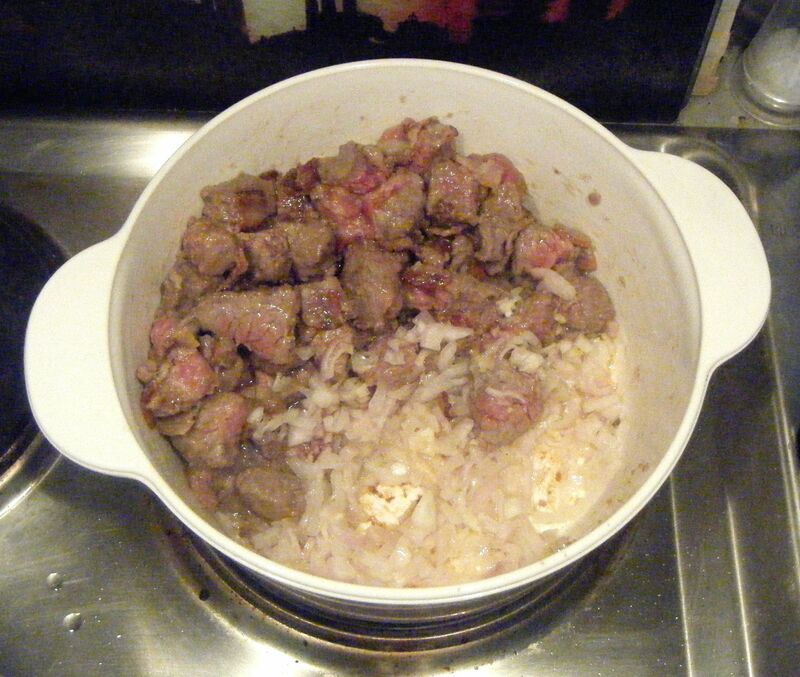 I then added these to the browned beef. The recipe then states to add the brandy and light it. I chickened out a little bit here. Being in a flat with a small kitchen, I was terrified I was going to set the cupboards on fire! So I decided not to use the brandy. 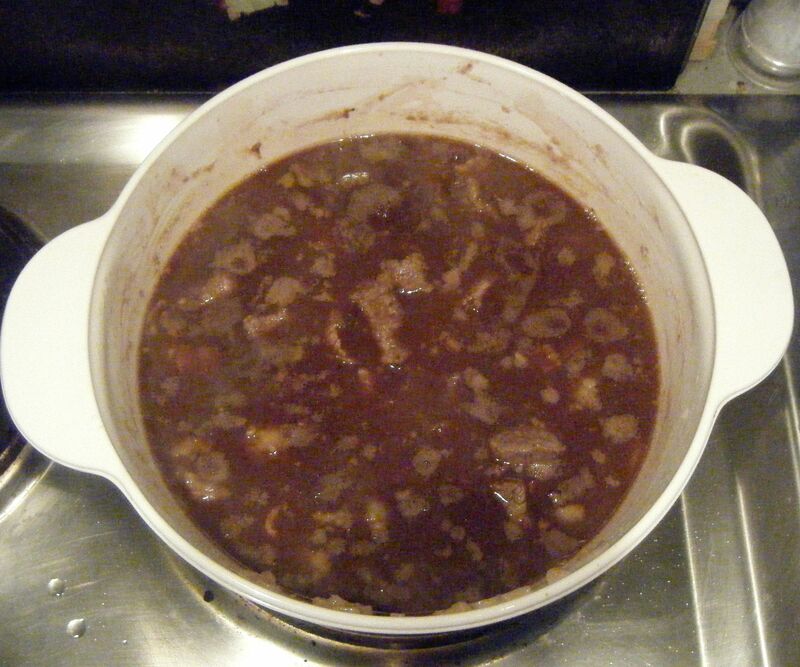 Instead, I went straight ahead and poured in the red wine and beef stock. 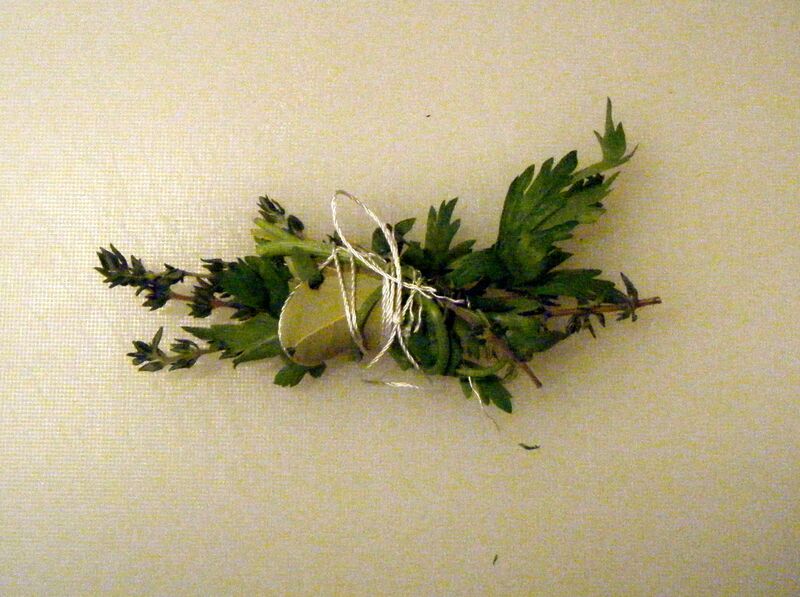 Once it came to a boil I added the bouquet garni and let it cook on low for two hours. 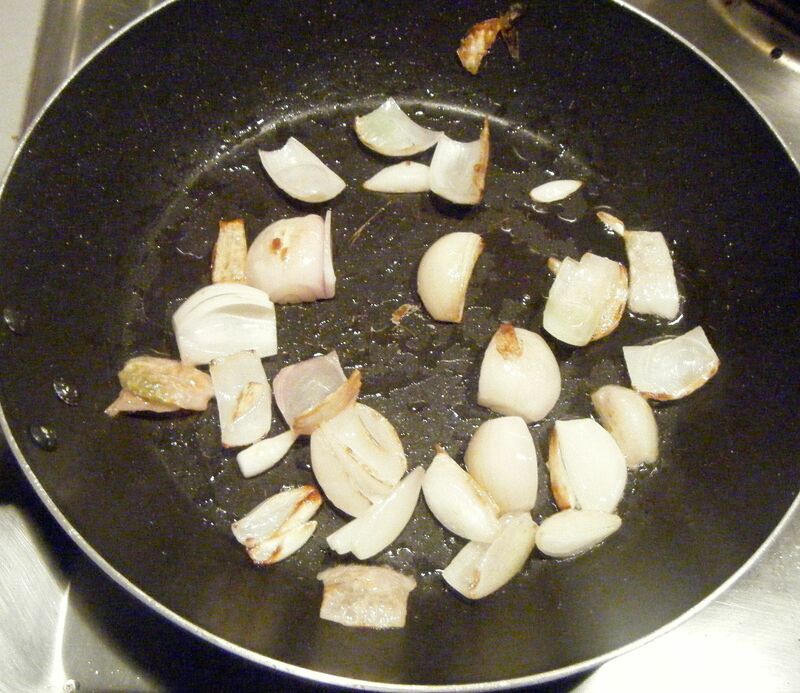 When the two hours was up, I fried off the shallots before adding them to the beef along with the mushrooms. 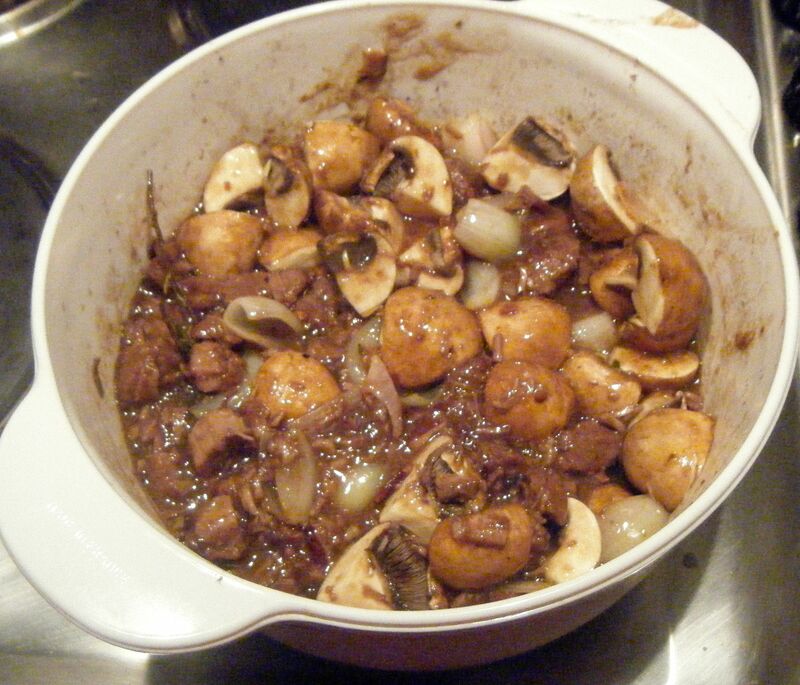 I had chopped up the shallots and chestnut mushrooms just because Dave and I prefer our vegetables a little smaller. Whilst the bouguignon cooked for the final 20 minutes, I boiled the peeled and chopped potatoes until soft. I drained them and put them back on the heat for a couple of minutes. I added the butter and milk and mashed it all together. Whilst this was really nice, to be honest, it was just a bit of a posh beef stew and I didn’t think it was as nice as the one made for Challenge No. 02, beef stew with dumplings. Perhaps it is because I missed out the brandy or I didn’t use the right cut of meat. Don’t get me wrong, I still polished off my plate and enjoyed the leftovers the next day, but to me, it just wasn’t quite as good as the beef stew I made earlier in the year. 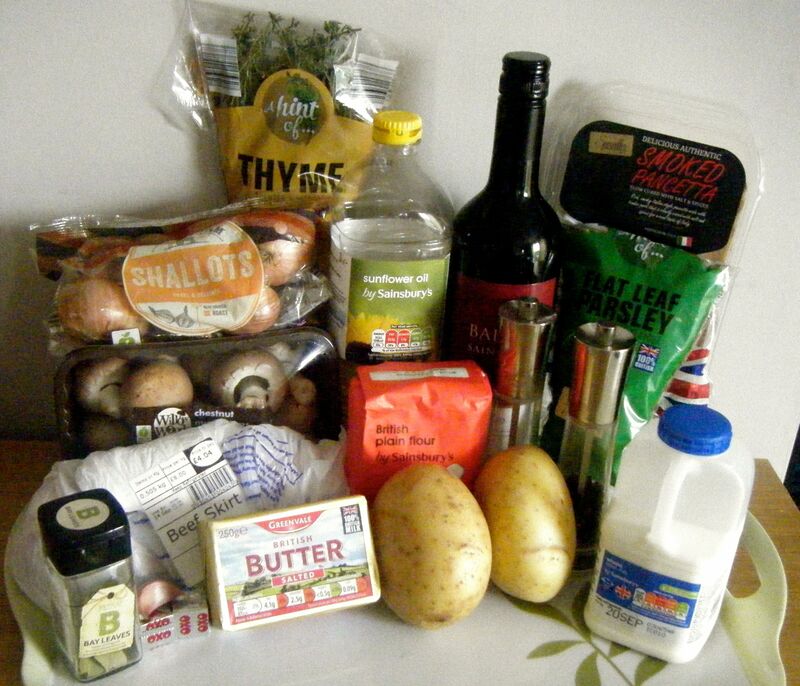 This entry was posted in Challenge 52 and tagged Alcohol, Beef, Challenge52, France, Potato by MyGastroAdventure. Bookmark the permalink.